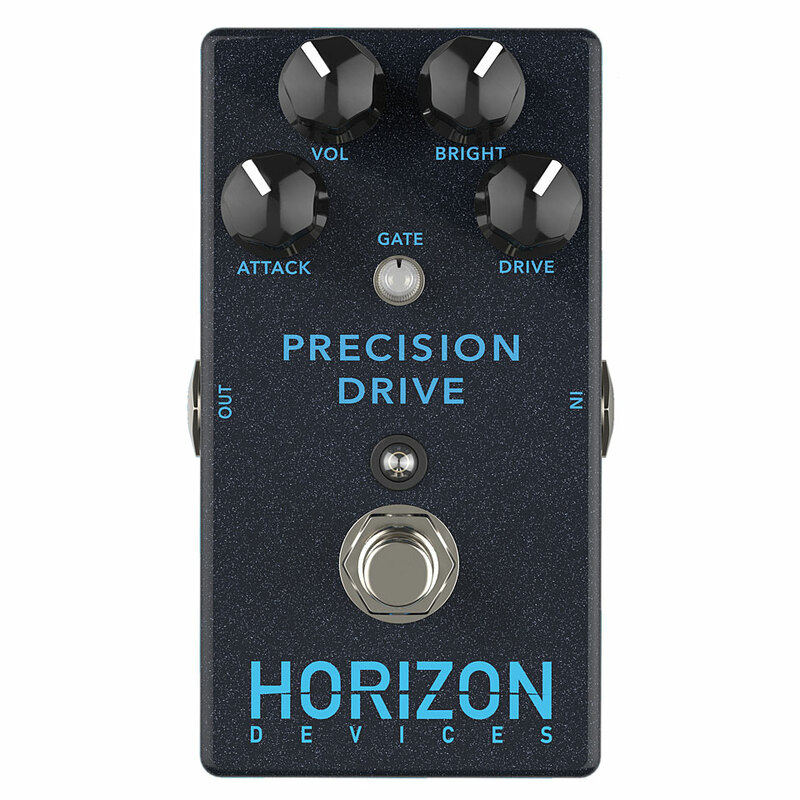 The Precision Drive is the first pedal from Misha Manssor's newly founded Horizon Devices company. The Overdrive, specially developed for Metal, features that none of the previous Overdrive pedal standards has to offer. 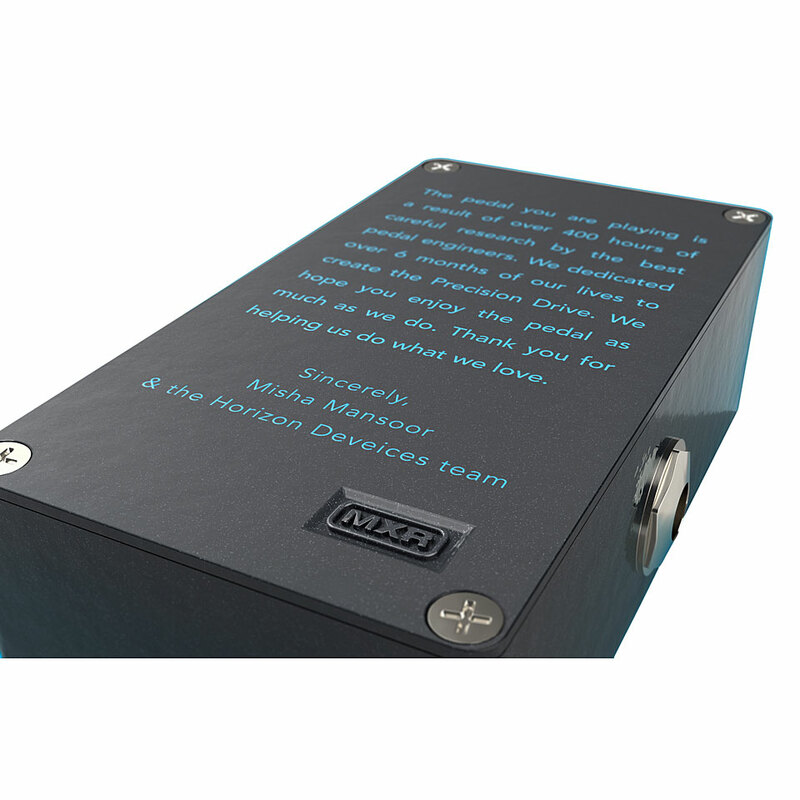 For modern metal sounds, pedals such as the Maxon OD808 are often switched to a high-gain amp, especially in the lower frequency range, to make the low-end tighter and to blow the amp slightly at the input stage. 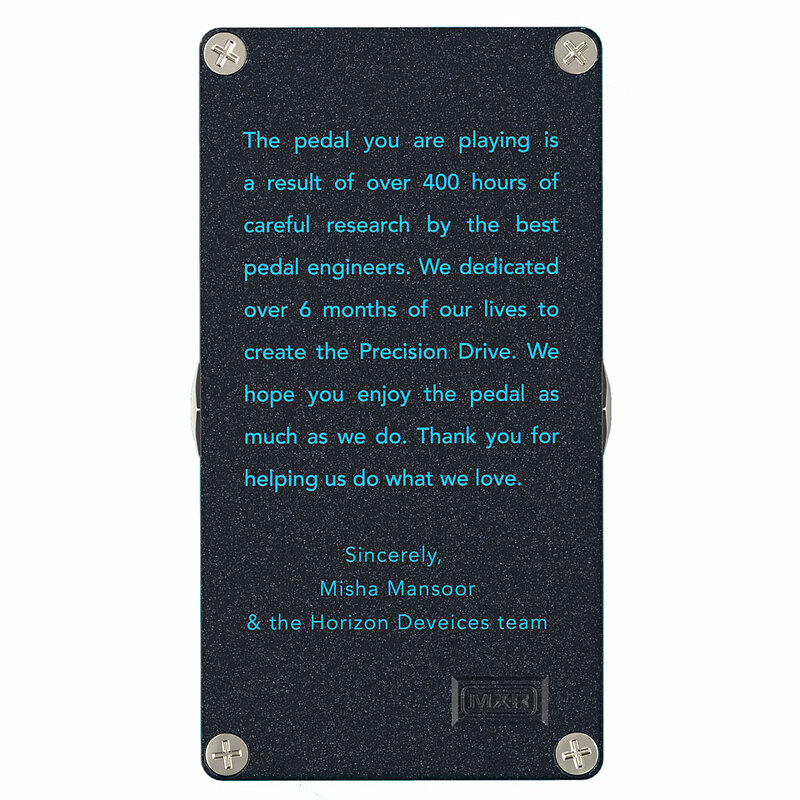 So far, however, one had to look for the perfect pedal for his amp/guitar combination. The Horizon Precision Drive offers a variety of settings with the Attack rotary switch to get rid of unwanted mud in the low end. The built-in Noisegate provides for a quiet sound by suppressing the additional noise caused by the more gain, but can also be used as an effect with higher settings. I use It for boosting my 6505+ lead channel, It works very good. I like the attack knob, makes the sound really tight.. Does what it needs to do perfectly. 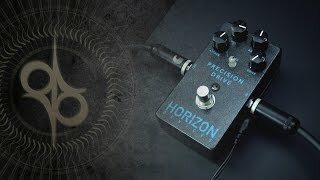 This is a great pedal for anyone liking a more gain-ish sound but it can be used for different genres and not just for djent style metal. 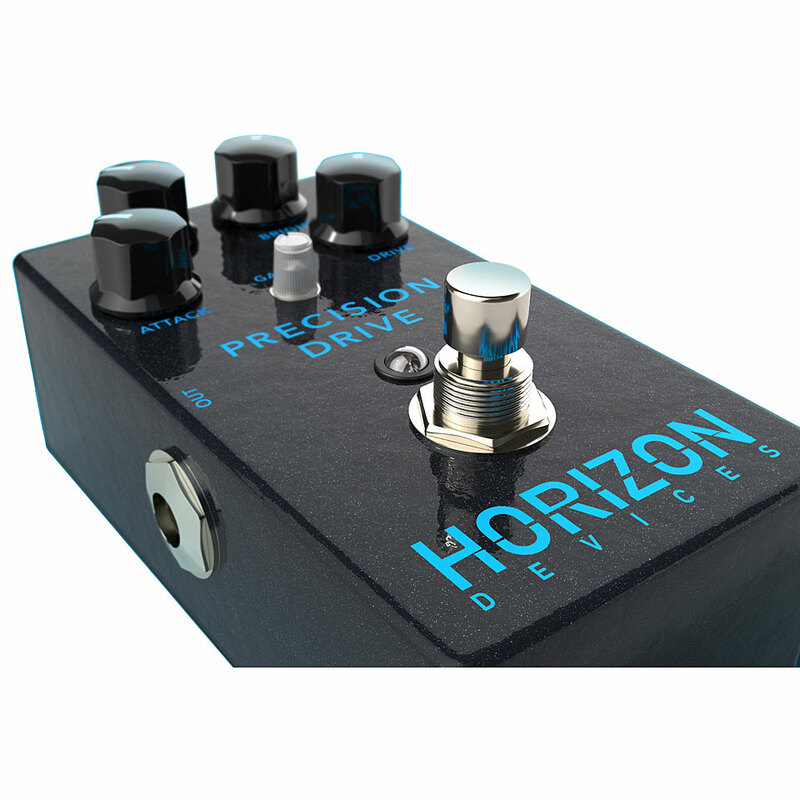 It focuses the low end and does something to the high end that makes your sound much more edgy. The noise gate works really awesome and is an amazing addition to an overdrive pedal. The Best Metal Drive, Incredible! The pedal is very good in doing all that's advertised for, there's one problem though, the noise gate when positioned at its minimum setting tends to clip the sound (on leads only) if the gain and volume are a little bit higher than what's recommended. I believe that it probably was the builder`s intent that it should behave this way, in order to avoid excessive gain, but a larger margin of tolerance would have benefited the pedal's sound. This item was given an average rating of 4.8 out of 5 stars. In total, 6 reviews were submitted. The comments are not the opinion of Musik Produktiv, they are the subjective opinions of our customers. 25 ratings exist without a text or these reviews are written in another language.